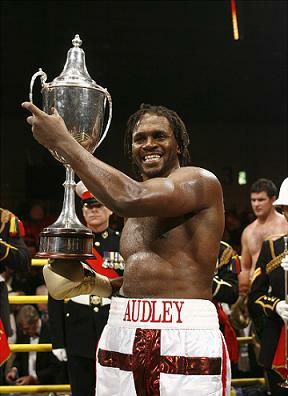 Precious few heavyweights polarise opinion in the way Audley Harrison does. Maybe that is part of the fascination with him. Maybe that enigmatic quality is what draws observers back to the story despite a series of tame defeats to mediocre fighters. The Mona Lisa is neither the most beautiful subject nor the most technically perfect painting but it endures as the most famous artwork in history (arguably) because of the interpretation her expression is open to. It isn’t definite. It has depth beyond the brush strokes da Vinci swabbed across the canvas. Much like Harrison, who has conjured few moments of brilliance during his own career on the canvas and yet holds a depth of fascination few others can match. However, despite the critics and the years completed since his first low point of being dropped by the BBC he is on the brink of the title shot he told us all along he would get to. Back in June 2004, it is impossible to believe anyone could have written the script for the ensuing period. Defeats to Martin Rogan, Danny Williams, Michael Sprott and Dominic Guinn as well as tame, soporific victories when handsomely advantaged have blighted his progress and numerous injuries halted any upward trajectory he’s achieved too. When Harrison left the BBC, following the conclusion of their 10 fight £1 million contract he was 10-0 but disliked, mocked and emotionally weakened by his experience of trying to forge his own path in the division. You have to admire his perseverance and attitude in somehow convincing the world via a Prizefighter tournament victory against novice professionals and a come from behind knockout of European gatekeeper Michael Sprott that he merits a shot at the most charismatic holder of a heavyweight belt since Mike Tyson. Incredible good fortune, or commendable stickability? Either way, he’s pulled it off. Back in 2004 the story was so different, and yet, so similar. This was my debut piece at thesweetscience.com – and like Audley the raw edges were still evident. When tired British soap opera Crossroads left our screens for the second time following an ill-advised and short-lived comeback last year, there were few who sobbed at the loss to our cultural equilibrium. Sure, a diehard fan club mourned its passing, but to most of us it was schedule filling dross, full of wobbly scenery and lame acting. This week the BBC dispensed with the services of Audley Harrison. For the army of dissenting voices team A-Force recruited during their three-year tenancy on the BBC, the similarities will be clear. There has certainly been some wobbly scenery and lame acting along the way. The problem is, no matter how hard Audley tries, he cannot write the script, act AND direct. In boxing, there are those who would like to upset the A-Force ‘applecart’ and there are those who would like a piece of the action too. Increasingly, it seems they’ve been influencing the script all along. The most surprising factor is the timing of the decision. Admittedly, the BBC gleefully chastised Harrison for his level of activity and the competitiveness of his opponents from the outset, as if embarrassed by the million pound cheque they signed to cover his first ten fights. But, after a laborious start to his career, 2004 has been a productive and progressive year for the Olympic champion; there was even a renaissance of support following his knockout defeat of unbeaten Richel Hersisia back in the spring. However, an over-cautious performance against a frankly shot-to-pieces Julius Francis fueled the claims that ‘he can’t punch’ and ‘he’s progressing too slow.’ He said he’d win the British title after five fights, after all. 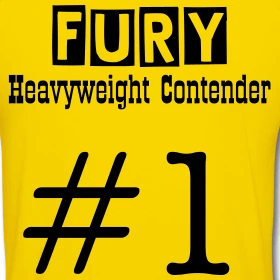 Personally, I think his conditioning and combination punching are distinctly improved and, as a 6’5”, 245lb southpaw, represents a serious prospect in a weak division and is arguably just one fight from a European title shot. For the BBC, who stood firmly behind him for so long despite withering criticism from all corners, withdrawing support now as Audley reaches the heavyweight crossroads appears shortsighted. The timing lending credence to Audley’s claims that the BBC’s recent recapture of Saturday night football highlights was the real catalyst for the decision. Well, yesterdays’ press conference was illuminating up to a point. It’s clear the BBC’s decision has shaken Harrison. I’m sure contingencies were prepared, but he does, on the surface at least, appear to have been caught on the hop. His verbal spat with Frank Warren continues to be the toughest battle of Audley’s career (could Warren be Audley’s Frazier?) and yesterday he proclaimed he would never sign a contract that handed any control over to Britain’s foremost promoter. But, it seems Audley’s path now runs right through Frank Warren’s Sports Network stable with British and Commonwealth champion Matt Skelton Warren’s weapon of choice. It may not be the timing or route Audley wanted, but for fight fans it represents the fight Audley has to win to recapture their hearts and minds. The previous stumbling block had always been the fact Warren operates in the marginalized world of satellite television, whilst Harrison was in the mainstream terrestrial arena. That removed we may yet witness Audley appear on Sky, fighting a Sports Network fighter – should be plenty of spice in that encounter. For now Audley’s is just three days from his last fight on the BBC against unbeaten but unheralded Pole Tomasz Bonin, a fight he will win, and needs to, convincingly. Bonin has already described Audley as ‘one of the best heavies in the world’ and whilst Bonin wont help Audley prove that to a skeptical British audience, beating Skelton and, better still, European champion Luan Krasniqi could do the trick. Maybe then the BBC will learn to regret their decision and maybe, just maybe, Harrison will learn to thank them for it.